Description: Aico Villa Valencia Collecton. 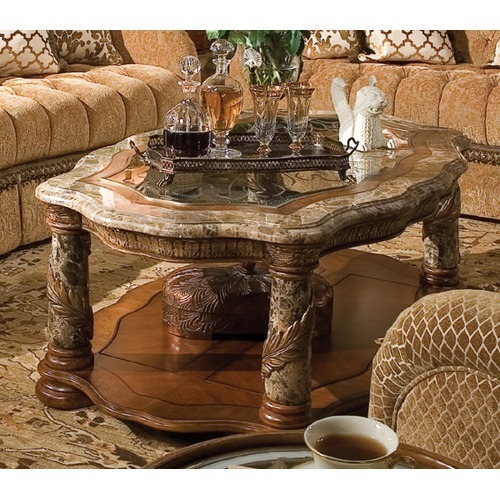 The Villa Valencia Cocktail Table by AICO Furniture beautifully captures the look and feel of Old World Spain. Beautifully crafted from Birch solids with Cherry Pecan and Elm Burl.